Hi-Neighbor! I recently received samples from a local New England brewery, can you guess which one? That’s right! 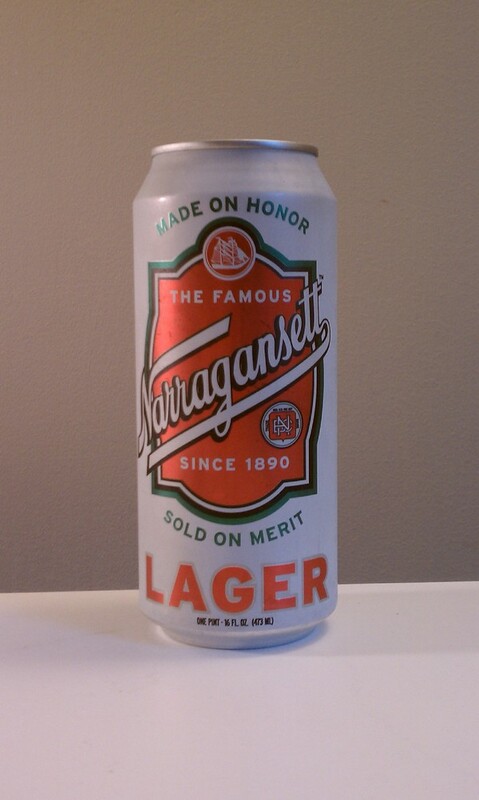 Narragansett brewing is now back in New England. Lager is one of the oldest styles of beers produced in the United States dating back to the 1890’s. This old-timer beer was once almost lost for good back in 1983 when increased competition, aging facilities, increasing operating costs, employee issues, and outdated equipment sunk the once proud brewery in Rhode Island. In 2005 Mark Hellendrung and a group of investors resurrected the brew by buying the rights from Falstaff and are now trying to get a brewery back in Rhode Island to call their own. But for now you can support the cause on their website and purchase their product in stores all around New England. This crisp lager pours into my pint glass and fills with a deep golden-yellow fill with a white foam head about one and a half fingers thick. The is great, a deep deep grainy cereal smell with some floral notes. The taste is very good for a discount premium lager, the discount only being the price. Big gulps of what tastes like freshly cut grain and a sweet clean finish. You do get a bite of spice the longer the taste lingers. It is pretty highly carbonation which I quite enjoy. This is a drink I can subscribe too. Macro produced, by with a neighborly feel , a nostalgic flair, a mighty taste payload, and beats the hell out of the other retro lagers out there. I definitely suggest you try the flagship drink for the Narragansett brewing company at your next outing or cook out, or even just because.